Lok Sabha has passed Representation of the People (Amendment) Bill, 2017 to extend the facility of ‘proxy voting’ to overseas Indians, on the lines of service voters. The Bill seeks to amend Representation of People Act (RPA), 1950 and Representation of People Act (RPA), 1951 to allow for proxy voting and make certain provisions of these Acts gender-neutral. Currently, only service personnel are permitted to vote through proxy. The Bill replaces the term ‘wife’ with ‘spouse’ in both Acts. Union Cabinet has approved extension of term of Commission to examine the issue of Sub-categorization of Other Backward Classes (OBCs) in Central List till November 2018. The five member Commission was constituted under article 340 of Constitution in October, 2017 with approval of President. It is headed by former Chief Justice of Delhi High Court Justice (Retd) G. Rohini. The Sub-categorisation commission was tasked to examine extent of inequitable distribution of benefits of reservation among castes included in broad category of OBC. Parliament has passed Insolvency and Bankruptcy Code (Amendment) Bill, 2018 to bring relief to home buyers and Micro, Small and Medium Enterprises (MSMEs). The Bill replaces ordinance promulgated in this regard and amends Insolvency and Bankruptcy Code, 2016. The Bill recognises home buyers as financial creditors in the real estate project and giving them due representation in the Committee of Creditors (CoC). It will allow home buyers to invoke Section 7 of IBC, 2016 against errant developers. Justice Gita Mittal became the first woman Chief Justice of Jammu and Kashmir High Court. Justice Mittal earlier served as a Delhi high court judge for 14 years, out of which 15 months were as the acting Chief Justice. She has designed the Vulnerable Witness Courtroom Project in the Delhi Trial Courts, which led to the first such court room in India. 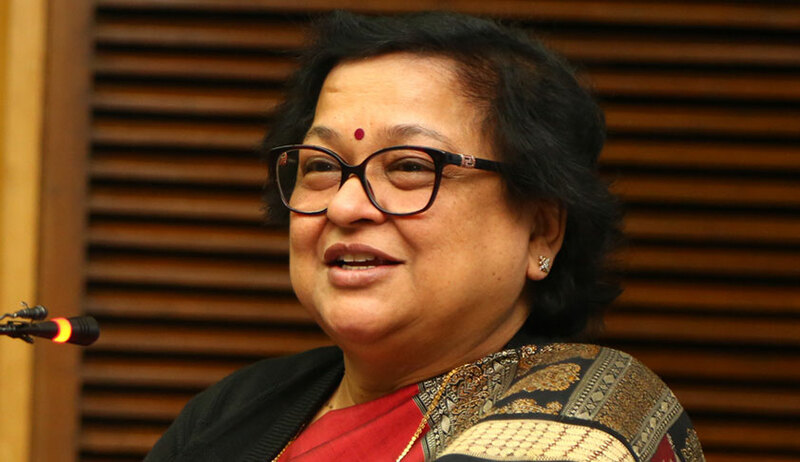 She is also the Chairperson of SAMADHAN – The Delhi High Court Mediation and Conciliation Centre. In 2018, President Ram Nath Kovind awarded Justice Gita Mittal with the Nari Shakti Puruskar, India’s highest civilian honour for women. The Indian shooters preparing for the Tokyo Olympics will have top-class competition at home as the International Shooting Federation (ISSF) has awarded a World Cup in principle to India in 2020. The assurance was given to the National Rifle Association of India (NRAI) president, Raninder Singh, during the ISSF’s ongoing executive committee meeting in Vienna. According to data released by Central Statistics Office (CSO), factory output measured in terms of Index of Industrial Production (IIP) had 7% in June 2018, five-month high. This was on account of higher output in mining, manufacturing and power generation segments. Moreover, CSO also revised IIP upwards for May 2018 at 3.9% from previous estimate of 3.2% estimated earlier. IIP is composite indicator that measures short-term changes in volume of production of basket of industrial products during given period with respect to chosen base period. Cabinet Committee on Economic Affairs (CCEA) chaired by Prime Minister Narendra Modi has approved release of pulses to States/UTs at discounted rate to be utilized for various Welfare Schemes from stock of pulses procured under Price Support Schemes (PSS). States/UT Governments will be offered to lift 34.88 lakh MT of pulses at discounted rate over prevailing wholesale market price of sourcing state on First come first serve basis. Pulses production was witnessed all time high during the last 2 years in the country. 2. Who is the head of the Sub-categorisation commission constituted under article 340 of Constitution? 4. Who is the first woman Chief Justice of Jammu and Kashmir? 6. Where is the World cup 2020 in shooting going to be held? 7. Who releases Index of Industrial Production (IIP)?